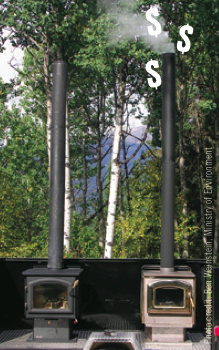 Many folks don’t realize that smoke from woodstoves contributes to air pollution in their neighbourhood. It especially affects the very young, the elderly and those with respiratory or heart conditions. During colder months in fact, smoke from wood fires is a leading cause of neighborhood particulate matter pollution, one of the leading air pollution concerns in British Columbia. The problem is exasperated when this smoke and other pollutants are trapped under a warm layer of air known as an inversion layer. When the air is cold and still, temperature inversions trap wood smoke and other pollutants close to the ground. On September 19th, 2016 the BC Government approved a new Solid Fuel Burning Domestic Appliance Regulation that will replace the existing regulation of the same name on November 1st, 2016. 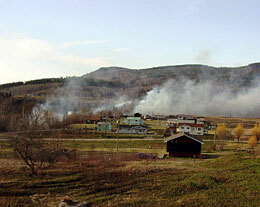 The purpose of the changes is to reduce wood smoke from home heating. A factsheet (PDF) and question and answers sheet (PDF) explain the regulatory changes. While the majority of us burn in compliance with the updated regulations, they are a good reminder that our actions impact our air quality and that the air we breathe – that our children and neighbours breathe – is critical to our health and quality of life. Read on for useful videos and tips for clean woodburning. Grey or smelly smoke drifting from your chimney indicates incomplete combustion due to wet wood, not enough air, or a stove that’s been overstuffed. Smoke is wasted heat! Ensure your fire is getting enough air – check that the air inlet is open wide enough to keep the fire burning hot. Open the air inlet fully whenever starting a fire or adding more wood. Don’t overload the firebox with too much wood. Instead, refuel more often with batches of 3 or more pieces at a time for optimal burning. Chimney smoke should be almost invisible after the initial starting stage of the fire – especially when you are operating a newer technology stove. Stoves that are operated with properly dried firewood can increase the heat you get by up to 15%. Upgrading your old appliance to a new efficient one can save you 1/3 of the firewood you used to burn. Burn only clean, dry wood that’s been dried for at least 6 months and has a moisture content under 20%, preferably 10-15%. Burn wood that is split into pieces 10-15 cm in diameter. Pieces should be about 6 cm shorter than the firebox size. Never burn wet or green wood, household garbage such as plastic or cardboard, painted or treated wood, particleboard or plywood, driftwood, or glossy magazines. Burning garbage produces noxious fumes and could damage your stove. 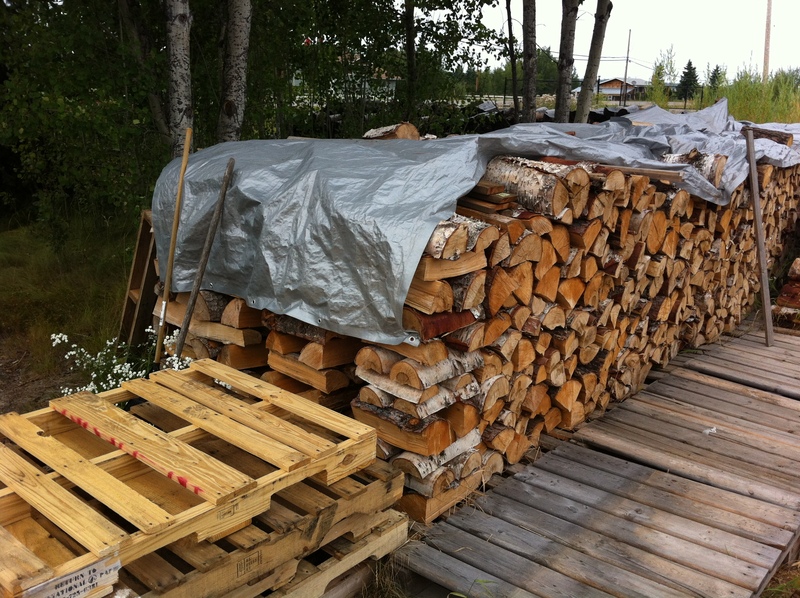 Firewood needs to be dried from its freshly cut moisture level to below 20%, preferably 10-15%. 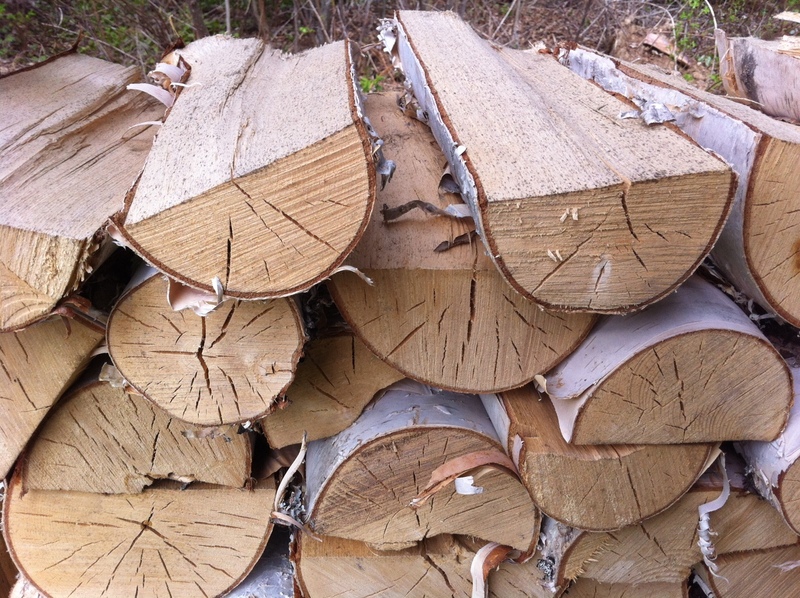 Gather firewood in early spring and dry it through the summer. Stack the wood on lumber rails or pallets to get it up off the moist ground. Cover the top of the pile with tarps, metal or wood sheathing, to keep the rain off, but leave the sides of the stack open so the wood dries. Wood dries through its exposed grain surfaces, so even trees that have been laying dead must be cut to length and split to dry fully in the middle. Dry firewood often has checks (cracks) in the end grain, is much lighter in weight, and burns easily without smoldering. Use a moisture meter to check a piece of split wood before burning. Always store firewood outside of your home and transfer it inside in small batches; indoor storage can bring moulds and insects into your home. Don’t store firewood against your house as it can attract pests and can be a fire hazard for your home. Place 5-10 sheets of individually crumpled newspaper sheets in the stove so that they cover the bottom of the firebox. Place 7-10 pieces of finely split (~1 inch diameter) dry kindling on top of the newspaper, arranging them in a way so that air can flow between the pieces. Open the air supply vent all the way. Open the front doors on the stove to get as much airflow as possible through the fire and up the chimney for the first several minutes. Don’t leave the fire unattended while the stove door is open. Open a nearby window or door if possible for the first minute, to get a good draft going up the chimney. Light the paper in a few places. When all of the kindling has caught fire, add a few smaller pieces of firewood (2-3 inch diameter) and close the stove doors. Gradually increase the size of the pieces as the coals build up. As the wood becomes well charred and coals build up, you can start to decrease the air supply to the fire. Watch for signs of incomplete burning such as visible chimney smoke or long, lazy flames in the firebox. When re-stoking the fire, add at least 3 pieces of firewood at a time for optimal burning. Operating your stove properly with dry wood will minimize the amount of creosote build up in your chimney, but some creosote is still deposited during the startup phase of the fire. Creosote deposits on your chimney wall provide a highly combustible fuel for chimney fires if allowed to build up. 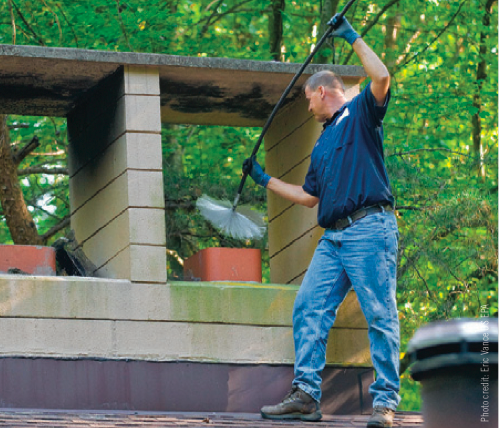 Have your chimney inspected and cleaned at least once per year. Look for a chimney sweep or wood heating retailer certified by the Wood Energy Technical Training (WETT) program. Wood smoke contains small particles and chemicals that can be harmful to your health, particularly for those with respiratory conditions. Please consider your and your neighbors’ health when you burn, especially on poor air quality days. Don’t operate your wood burning appliance during an Air Quality Advisory, where possible.